Extremely Smooth. A medium mahogany amber color promises great things, quickly satisfied by incredibly appealing aromas of subdued, light caramel, oaky vanilla, leather, tropical spice (nutmeg, traces of fennel and anise), pecan, and paraffin. The initial taste is just slightly sweet on the lips and tip of tongue, while the perfectly weighted, medium-heavy body envelops your senses with one of the most satisfyingly complex rums available today. An absolutely delicious finish spreads like syrup from tip of tongue to throat, delivering a consistent caramel sweetness and vanilla, moderated by dry leather, and it goes on seemingly forever. 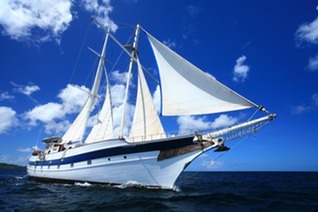 In April 2010 I hosted a rum tasting theme cruise on S/V Diamant (pictured) where the sailing guests and crew were treated to over two dozen fine rums ranging from exotic sippers to edgy mixers to white overproofs, as well as specialty rum cocktails. After a week of guiding passengers through this subset of the rum world, Barcelo Imperial was hauled up from the depths of the rum locker as the “piece de la resistance.” Saving one of the best for last, Barcelo Imperial was served after many other fine rums, many of which were far more expensive and some more than twice as old. Not surprisingly, the passengers delighted in Barcelo Imperial’s advanced flavors and sophisticated complexity, truly thankful to have arrived at the end of their rum journey with such a noble spirit. During a visit to the Dominican Republic in early 2008 I became a devout fan of the distillery’s products. In the DR, Barcelo rums were a daily staple, found at many beach bars and tasty restaurants all over the Samana peninsula. 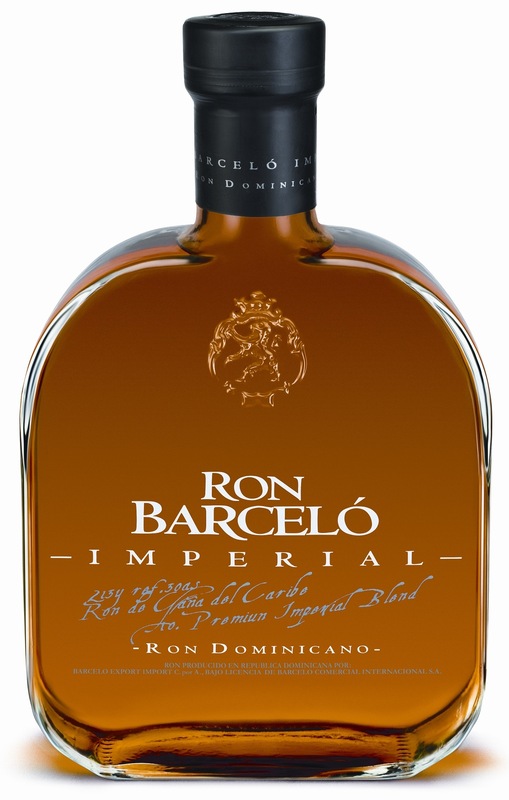 Knowing Barcelo to deliver some of the most deliciously complex and well balanced rums on the market, I was anxious to try their latest 10 year old version of Imperial. After sipping critically, I am now fully satisfied that the distillery has preserved their magic touch. 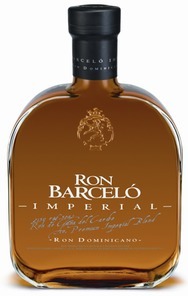 In my opinion, Barcelo Imperial is one of the most well balanced, superbly complex sipping rums available. It’s one of the best bargains in the rum universe. Bottle # 1651847 did not disappoint. The current expression leas far less of an impression, a body significantly diminished in depth of flavor, with less complexity, and far less olfactory and palate rewarding. While the current Barcelo Imperial version is pleasant and easy to sip, it’s no Jack Kennedy. Sadly, by 2012 or so, the rum we’ve known and loved as Barcelo Imperial is a mere shadow of its former self. The rich, old-World Dominican rum flavors are subdued, paling in comparison to what once was a favorite rum of mine. What had been “one of the most well balanced, superbly complex sipping rums available” is now just above average among so many Spanish/Column distilled-style rums. Comparing the old round bottle version sourced on the Dominican Republic in 2008 against currently available export product in its slab-sided squarish bottle my palate is left wanting. Reviewed: June 2010 at the Rum Gallery, USA.